Gladewater, Kilgore College, Kilgore Fire Marshall, Lakeport, Longview, Longview City Marshall, and White Oak. Deputy Sheriff Marion Hodges died when he fell off an embankment while assisting state troopers at the scene of a traffic accident. Sergeant Davis was shot and killed as he and other narcotics officers served a warrant in a hotel room. Sergeant Davis had obtained a key from the hotel manager in order to gain quick access to the room in order to keep the suspect from destroying evidence. As he began to open the door a single shot was fired from within the room and struck him in the chest. The suspect was arrested after a brief standoff. Sergeant Davis had been with the agency for seven years and had been with two other agencies as well. He was survived by his wife and two children. Patrolman Marshall Sowders was shot and killed when he made a traffic stop of two robbery suspects, a man and a woman while en route to an armed robbery call. The call was the second such call in less than one hour. During his response he noticed a suspicious vehicle, turned his cruiser around, and stopped the vehicle. As Patrolman Sowders approached the vehicle the male driver suddenly exited and opened fire with a .357 caliber handgun, striking him four times. Both suspects were captured in nearby Gilmer after a shootout with police in which the woman was critically wounded. The man was convicted of capital murder and sentenced to death. On April 10, 1991, his sentence was commuted to life. Patrolman Sowders had served with the agency for three months and had previously served with another agency. He was survived by his wife. Patrolman Stevens was struck by a vehicle and killed while investigating an earlier accident. He had walked onto one of the travel lanes to measure skid marks. Another motorist failed to see him and struck him. Patrolman Stevens had been with the agency for seven years and was survived by his wife and two children. Sergeant Connell suffered a fatal heart attack after being taken hostage by a suspect. He and another detective had gone to a person's house while investigating a series of armed robberies. The person supposedly had information about the suspect. When they knocked on the door, it was answered by the suspect, who was holding a handgun. The suspect took both officers hostage and bound their hands and feet with handcuffs and electrical tape. The suspect then fled the scene. Sergeant Connell was able to crawl to a phone and call dispatchers to report their situation. He then collapsed on the floor as he suffered a major heart attack brought on by the stress of the situation. 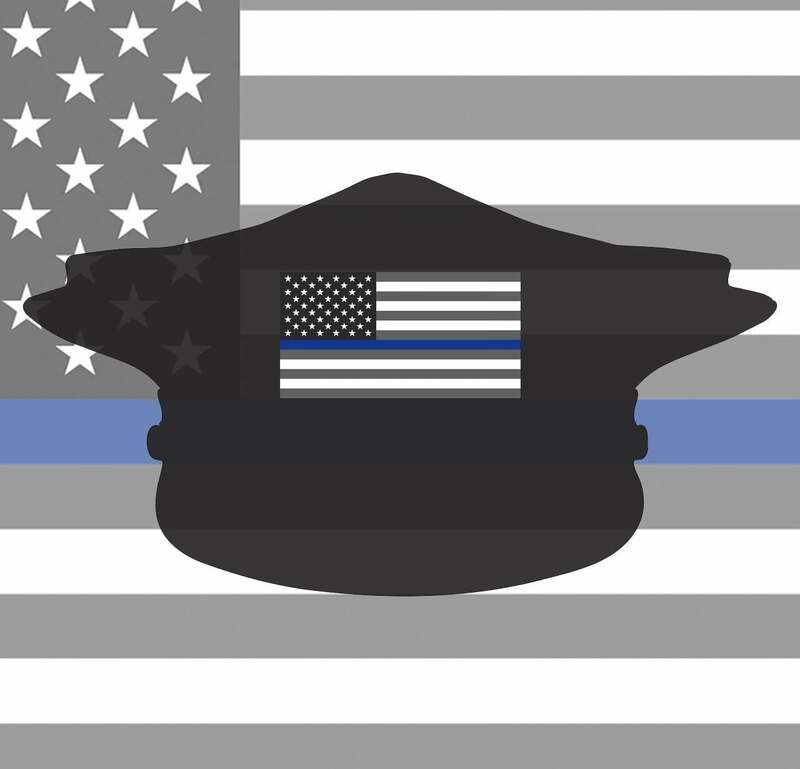 Patrolman Gaunt and Patrolman Bura Roberts were killed in an automobile accident while responding to a fire. Their patrol car struck a firetruck responding to the same call. A firefighter riding on the back of the firetruck was also killed in the accident. 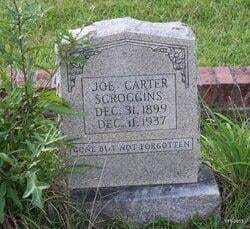 Patrolman Gaunt had served with the agency for 1 year. Patrolman Roberts and Patrolman Boyd Gaunt were killed in an automobile accident while responding to a fire. Their patrol car struck a firetruck responding to the same call. A firefighter riding on the back of the firetruck was also killed in the accident. Patrolman Roberts had served with the agency for 4 years. 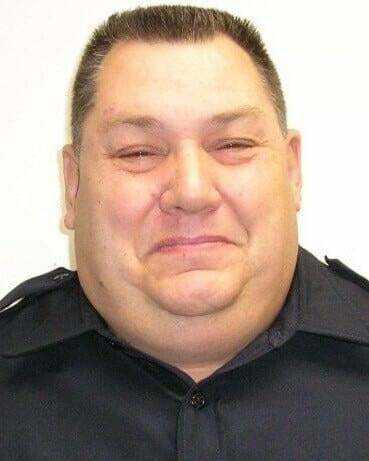 Deputy Sheriff James Killingsworth was shot and killed as he and other deputies attempted to arrest a man for several robberies committed in Titus County and Upshur County. The deputies located the man hiding underneath a bed that the man's mother was lying on. When the deputies ordered the man to come out he opened fire with a handgun, mortally wounding Deputy Killingsworth. The other deputies returned fire and killed the suspect. Deputy Killingsworth was survived by his wife and three children. Precinct 3 Constable James Elbert Grigsby of Tatum in Rusk County went to question Angus Williams about a recent burglary in nearby Panola County. Williams and another man were standing together as Constable Grigsby approached. Williams fired one blast from a single barreled shotgun loaded with No. 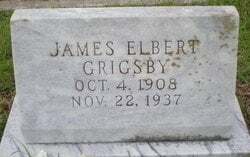 4 shot that killed Constable Grigsby. Williams fled to his home. A posse of 150 men was searching for Williams, but heavy rain obliterated the trail. Williams decided he could not escape and shot himself in the head with his shotgun the next day. Williams was an ex-convict who was sentenced to 99-years in prison for killing his wife in 1923. He had been recently released on parole. Special Constable Fambrough was shot and killed as he and the constable attempted to arrest a man at his home in Elderville. As the two officers stepped onto the man's porch he opened fire with a shotgun, killing Special Constable Fambrough and wounding the constable. Despite being seriously wounded, the constable was able to return fire and killed the suspect. George Tabler was shot and killed in an act of revenge by a father and son for an incident in which the marshal had shot and killed another family member during an arrest attempt three months earlier. Marshal Tabler was survived by his wife.